Irish Garden House: REAL . . .
"What is REAL?" the Velveteen Rabbit asked the Skin Horse one day. "Real isn't how you are made," said the Skin Horse. "It's a thing that happens to you. but REALLY loves you, then you become Real." "Does it hurt?" 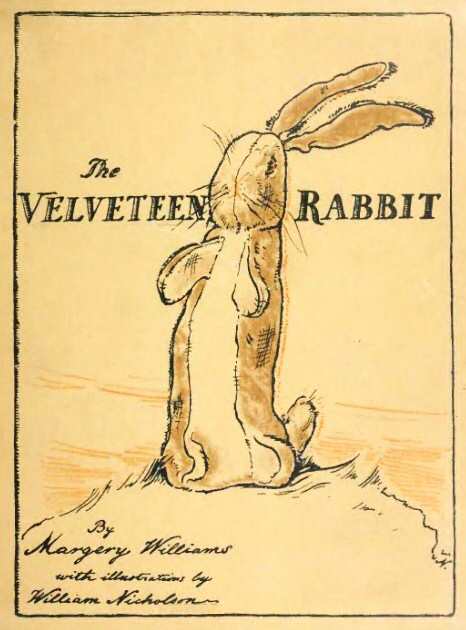 asked the Velveteen Rabbit." "Sometimes," said the Skin Horse, for he was always truthful." "When you are Real you don't mind being hurt." "It doesn't happen all at once," said the Skin Horse." and your eyes drop out and you get loose in your joints and very shabby. except to people who don't understand. But once you are Real you can't become unreal again. Spending time with the grands and great-grands is a REAL special time. Enjoy! Have a happy Sunday and wqeek ahead! You have just quoted from one of my favorite books. Ditto what Tex said. The words I needed at this moment in time. How do you always know? And yes, Tex said it best. It's been a long time since I've heard anyone mention "The Velveteen Rabbit"..Thanks for the reminder..Good luck tomorrow.. Yes, spending time with family is always at the top of my list. Will be back in your corner of the world again next week. Wave to me as I do the same!! What lucky great and grands to have you there being real for them. Such a wonderful time!